Let’s get this straight: Loris Karius kept a clean-sheet last night – the first Liverpool have racked up in the Premier League this term. But fans stormed the internet to abuse the young German, who’s now conceded just two goals in four games. Yes, he flapped at a few crosses – but let’s have a look at the man in United’s net last night – David de Gea. When he arrived in England, he struggled early on. Now, he’s probably the best keeper in the world – as displayed by that save from Coutinho last night. 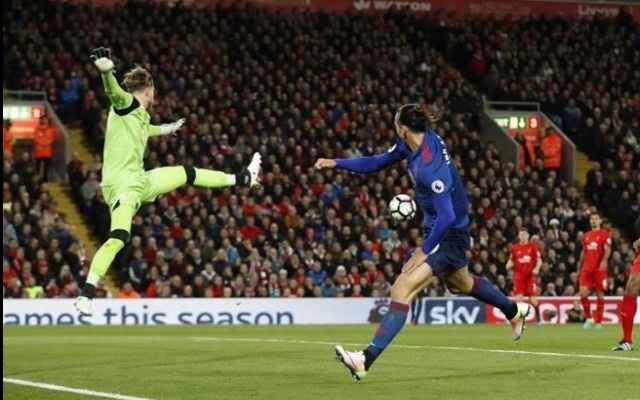 LFC fans shouldn’t be concerned about Karius’ ability, its obvious. but the concern lies with Achterberg and how he changes goalkeepers. Terrible match looked nervous first half, not a fan of Mingolet but hes better than Karius!! Karius is shite. Whys he so nervous? You literally have the worst keeper in the league as competition. Personally I Would Drop Karius For Our Next Match.